Often the overlooked cinema major in Asia, the Japanese cinema market is still dynamic, as witnessed by this $100m acquisition of United Cinemas, with its 36 cinema complexes. Convenience store operator Lawson Inc. announced Wednesday it will acquire United Cinemas Co., a Tokyo-based cinema complex operator, in a deal estimated at more than ¥10 billion [USD $97.9 million]. Lawson will buy all shares in the holding company of United Cinema from the existing shareholders, including private equity fund Advantage Partners LLP. Lawson sells entertainment tickets and music and video software through Tokyo-based subsidiary Lawson HMV Entertainment Inc.
China – The Chinese are hard at work developing their own laser light cinema projector technology AND immersive audio technology. We’ve written about this company before and it is worth keeping your eyes on them. 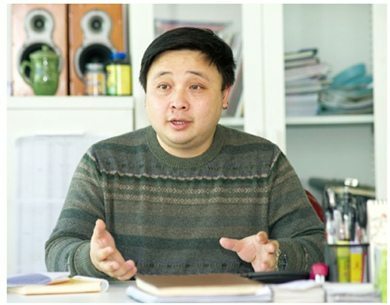 If making a laser projection Imax-like 4K projector wasn’t enough, they also seem to be hard at work to create a local Chinese version of Dolby Atmos, according to this article. Cinelab laser IMAX sound system is also new design concept, the most classic Dolby (ATMOS) and Chen Xing Technology panoramic sound technology with independent intellectual property Cinelab super 5.1,15.1 and 17.1 stunning combination of sound, to get rid of the shackles of sources, perfect interpretation of Dolby (ATMOS) panoramic sound studio truest sound. 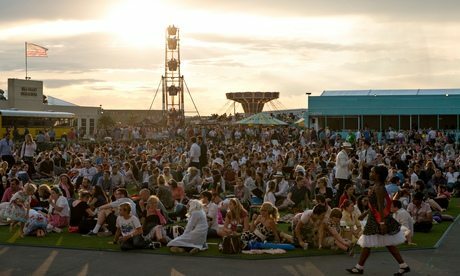 UK – Secret Cinema’s belated Back to the Future screening has crashed the UK Top 10, despite only showing on one screen, in the replica Hill Valley set. It took more than Transformers 4 took in the same week. Impressive. Guardians’ four-day opening is one of the biggest ever debuts for a Marvel movie in the UK, beating the first instalments of Iron Man (£5.6 million), Thor (£5.46 million), Captain America (£3.3 million) and X-Men (£4.8 million). Elsewhere, the chart sees new releases The Nut Job and Step Up 5: All In debut in the top 10 at numbers six and nine respectively. UK – Local newspaper Shropshire Star asks whether event cinema broadcasts into cinemas are robbing local productions of audiences. It seems not (5 ‘No’ votes vs. 4 ‘Yes’ votes – so my vote tipped the balance). Sian Kerry, director of Arts Alive, an organisation that puts on both live events and screenings in Shropshire and Herefordshire, said the screenings were also proving an essential revenue stream for cash-strapped rural theatres. Arts Alive runs Flicks in the Sticks which shows films and live theatre in places such as the SpArC Theatre in Bishop’s Castle, Aston-on-Clun Village Hall, and Ledbury Market Theatre. Ms Kerry said The Edge Theatre in Much Wenlock and Wem Town Hall are also showing live theatre screenings independently, as is Market Drayton’s Festival Drayton Centre. Pakistan – Further to the item earlier this week about the tug-of-war about censorship/classification authority in Pakistan, it seems the army is playing a major role. The top command of Pakistan Army and Air Force seems to be divided over showing Indian movies in cinemas under their respective jurisdictions, Pakistan Today has learnt. 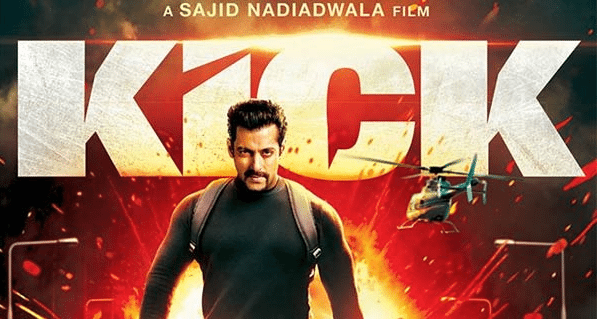 The PAF top command has banned showing Indian movies in their cinemas in Lahore and Rawalpindi whereas the same is being openly shown in the cantonment areas and the Defence Housing Authority (DHA). 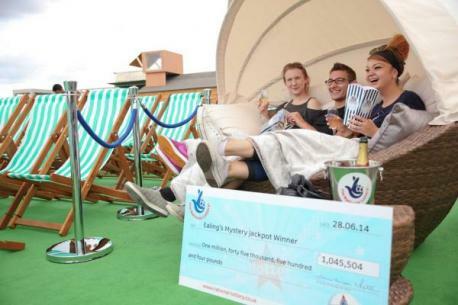 UK – Ealing’s Rooftop Film club is introducing ‘MILLIONAIRE Seating’ in a novel advertising stunt. Looks pretty appealing. The idea comes from the National Lottery, to remind people to check their Lotto tickets, as a £1m jackpot prize remains unclaimed. 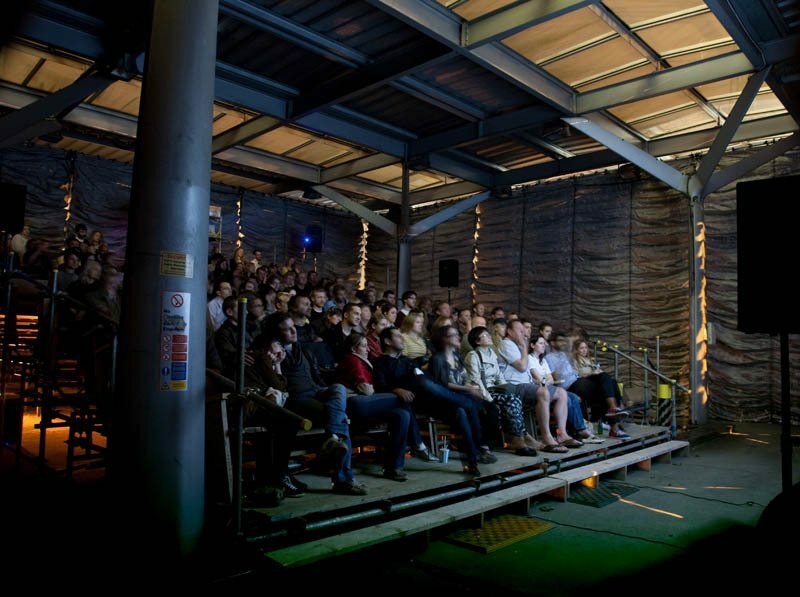 Available on a first-come basis, the Millionaire Seating offers film-goers a taste of luxury lifestyle as they catch one of the 20 classic and cult films on offer at the Rooftop Film Club., Springbridge Car Park, Ealing Broadway. UK – Having tried first with old airline seats (! ), these community cinema campaigners now managed to find 400 red cinema seats on eBay, thus bringing their dream of re-opening the defunct local cinema one step closer to reality. 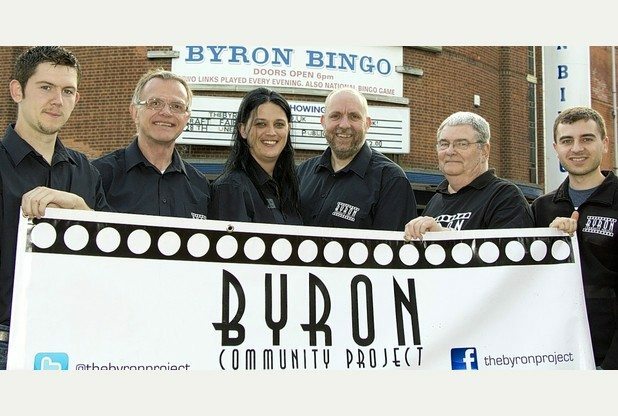 MEMBERS of the Byron Community Project are calling for volunteers to help them collect 400 seats for the refurbishment of the historic Hucknall cinema. The Byron Cinema, opened in 1936, is now a bingo hall and has not shown a film since 2006. UK (Scotland) – Another encouraging story of a cinema re-opening. This one in Fife. Yes, Leven will soon have its own cinema again following the takeover of the building by a local man with plenty of movie experience. 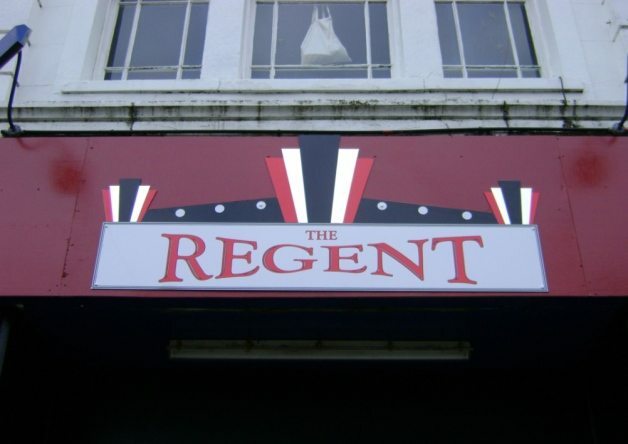 Graeme Reekie, of Leven, was involved in the initial re-launch of The Regent back in 2010, and now, following a hugely successful four years at the Kino Cinema in Glenrothes, he’s adding another string to his bow and returning to his roots by breathing new life into Leven’s picturehouse. 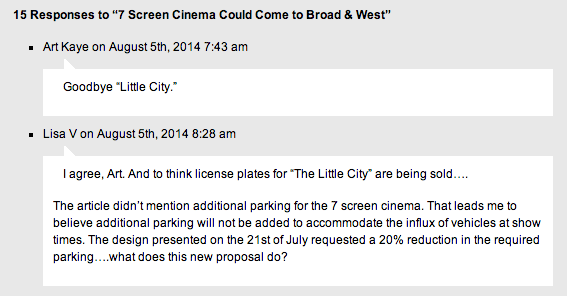 USA (VA) – Looks like a seven-screen cinema will be coming to Falls Church, with negotiations apparently already taking place with what’s described as “among the highest quality theater operators on the East Coast.” But locals seem to grips about parking and traffic rather than cheering. As Spectrum Development’s proposal for Broad & West heads for an initial vote at the Falls Church City Council next week, the big project could be undergoing a massive change: the developers are negotiating with two theater companies in an effort to add a 7-screen restaurant cinema to the plan. 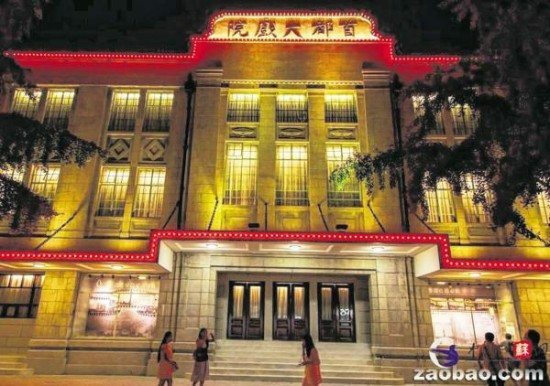 China – One of the oldest cinemas has been restored in a city that is particularly important to modern Chinese history. 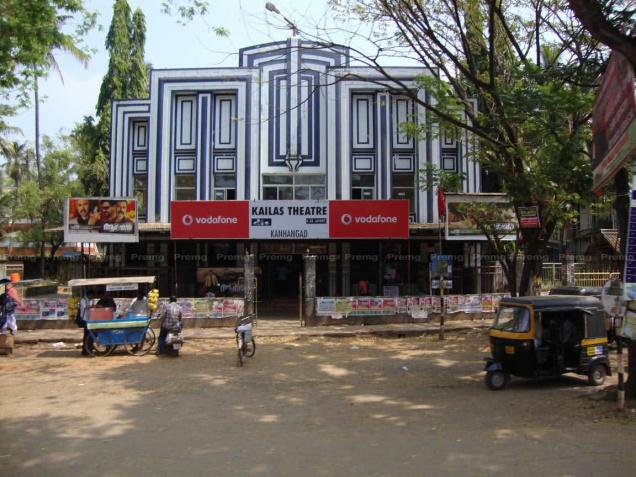 India – The oldest operational cinema in the south-western Indian state of Kerela is closing this Thursday. Kailas Theatre, one of the oldest in the State, will screen its last show on Thursday. The curtain will fall on Kailas Theatre, one of the oldest movie halls in the State, on Thursday after 63 years. Filmgoers in and around the town, considered a cultural centre and the commercial hub of northernmost Kerala, would from now cherish fond memories of the golden hits screened at the cinema since it began its run on August 26, 1951. 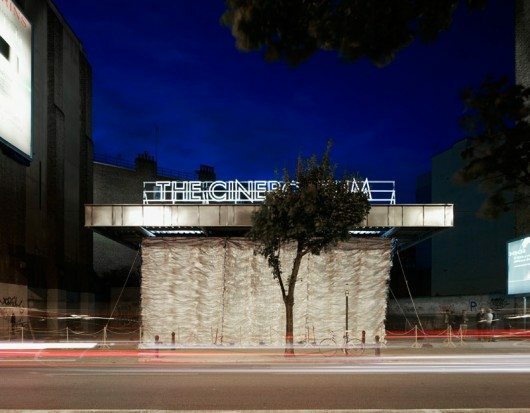 UK (London) – This unique temporary cinema in a closed gas station in Clarkenwell is now gone (replaced by a taxi car wash service) and I bitterly regret not going there as it was close to where I was living in London at the time. Do check out the other photos.